P’ Jaroon: I was an Assam tea farmer, while also making and selling a traditional Thai snack called “miang", which is made from tea leaves. I followed the same path that my family took and they have been doing it for over 50 years! P’ Jaroon: The beautiful weather and the nature that surrounds the area. Oh, and the people are also nice! 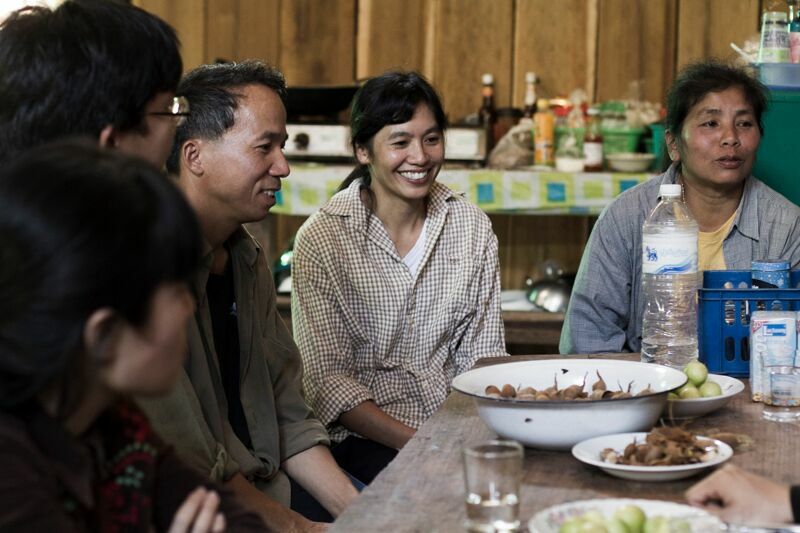 P’ Jaroon: Back when I was a tea farmer, I found the job to be very difficult and challenging. It was physically demanding and almost impossible to make ends meet. 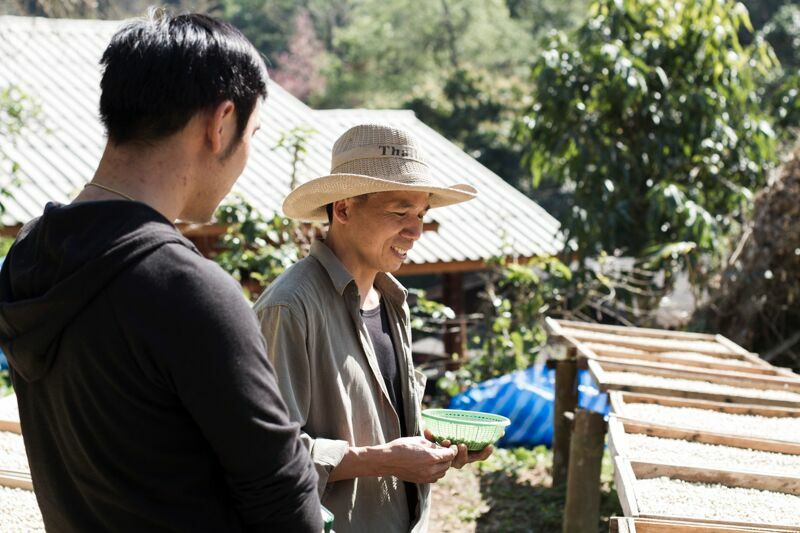 One day I heard about a village in Doi Saket that started to plant coffee and provided a much better income for the farmers. My neighbour then began to do the same, and I followed him. I knew that selling the “miang” snack on the side won’t be enough to send my children to school, so I wanted to try something else that would yield a better return. P’ Jaroon: Stability. I think coffee gives our family a stable foundation that we can build our livelihood, success and reputation on. P’ Jaroon: I’ve always enjoyed instant coffee - you know the one with the coffee cream? But lately, I started to favor filter coffee that I make myself. It’s nice to taste your own coffee beans, it helps me to understand the notes and the aromas better. P’ Jaroon: I’m a 100% kind of person, I like to commit myself fully to everything I do. So I would probably like to work on a big project that would allow me to meet lots of different people outside of our village and provide a reliable income for my family. It’s always fun to daydream about these things and hey, maybe one day I’ll win the lottery. In the meantime, I’ll stick to what I do best in the real world. P’ Jaroon: I would like to tell them that I look after our coffee from the very beginning. 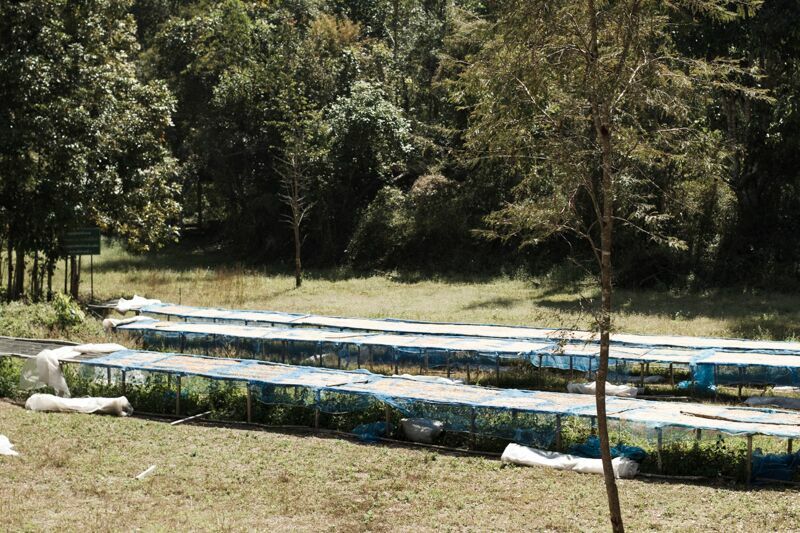 From the day the coffee cherries are planted, to when they’re processed. I never skip a step and always pay attention to every detail. My goal is to improve the quality and the taste of the coffee from the farm, and I believe that I can if I put my heart and soul into what I’m doing.